Forbes is reporting that the Haslam-Edwards group could pay $150 million for rights to Columbus Crew SC, part of a deal that would prevent the club from relocating. 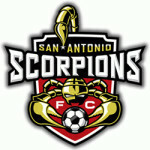 In October, it was revealed that the Crew might remain in Columbus rather than relocate to Austin. That scenario would involve a group led by Jimmy and Dee Haslam–owners of the NFL’s Cleveland Browns–and the Columbus-based Edwards family buying into MLS and receiving operating rights to Columbus. Meanwhile, current Crew investor-operator Anthony Precourt would remain a MLS investor, allowing him to move forward with plans for a new Austin stadium no later than the 2021 season. 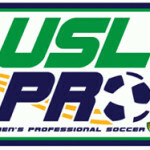 (Remember: MLS is a membership league, not a franchise league). A person with knowledge of the deal to keep Major League Soccer’s Columbus Crew in that city says the price will be $150 million. This person spoke on the condition of anonymity because the talks are private and have yet to be finalized. As reported last month, the new investors are primarily the Columbus Partnership along with a local investor group led by Pete Edwards Jr. and the owners of the NFL’s Cleveland Browns, Dee and Jimmy Haslam. The new owners of the Crew have also agreed to pour at least $150 million into a new soccer-specific stadium that would cost around $250 million. The public would foot the other $100 million. A spokesperson for MLS said that while the recent expansion fees for Nashville and Cincinnati were $150 million, the fee for Columbus has not been set yet. 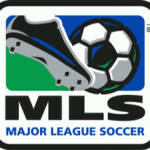 The topic will be discussed at the MLS Board of Governors meeting in NYC on Dec. 13. Precourt announced last fall that he was exploring a move of the club to Austin. Although the Austin City Council voted in August to approve the term sheet for an agreement that would allow Precourt to build a privately financed stadium at the city-owned McKalla Place, that does not mean that the Crew will relocate. 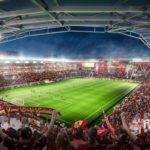 Regardless of whether it is in Columbus or Austin, the construction of a new stadium will be a priority for the club. Its current home, MAPFRE Stadium, opened in 1999 as something of a standard-bearer for the soccer-specific model of MLS stadiums, but the level of amenities within the league’s facilities has been raised considerably in the years since.